JOHN B. DREWRY was born 25 February, 1924 in Snowball, Arkansas to James A.D. and Bertha Lee(Gates) Drewry. He passed away peacefully 23 August, 2012. John is predeceased by his parents and is survived by his brother James, his wife, Dorothy, their four children, Bruce (Kathy), Bryan, Brett (Jolynne), and Carolyn (Wayne) Woolston, ten grandchildren and fourteen great-grandchildren. John graduated from high school at the age of 17 and joined the U.S. Navy, serving in numerous campaigns through World War II. Following a variety of work experiences, he met Dorothy and married her in the Cardston Alberta Temple. Their four children were born to them in Idaho. In 1959, they then decided to move to Alberta and “try it for a while”. He found and created work combining his passions, horses and business. During the course of his life, he became one of the largest buyers of horses in North America. At the same time, he was quick to state that he “wasn’t raising horses, he was raising children”. 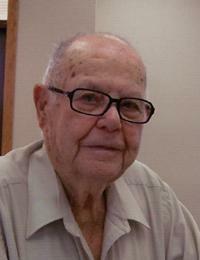 John was always happy to share stories of his life experiences, a good game of cribbage and a steak dinner. He will be remembered for his gregarious nature and impassioned pursuit of his life goals and values. Friends may meet with the family on Sunday evening, August 26 from 7:00 to 8:00 p.m. at the LDS – Knight Street Chapel in Raymond, and prior to the service on Monday from 10:00 to 10:45 a.m. The Funeral Service will be held on Monday, August 27, 2012 at 11:00 a.m. at The Church of Jesus Christ of Latter-day Saints, KNIGHT STREET CHAPEL, Raymond, with Bishop Robert Baker officiating. Interment to follow in the Temple Hill Cemetery.